Infringing and and unconstitutional gun laws have just been enacted in Vermont. We are immediately starting our journey into a court challenge to relieve law abiding citizens of these unjust restrictions on your civil rights. I am a board member for Vermont Federation of Sportsman's Clubs. The VTFSC is a 501 (c3) non profit corporation. Our function is education of outdoors people in the state of Vermont and the preservation of our rights. I function as a voting member on the board of the VTFSC, and take active in fund raising activities for the VTFSC. As board member and Vermont resident from Monkton VT I believe we must protect our civil rights. All monies donated through this GoFund me campaign will go directly to the VTFSC legal defense fund. All of the monies in that fund are spent protecting the rights of every Vermont resident. The monies donated will be withdrawn by the VTFSC treasurer and deposited directly into the legal defense fund account for only those specific uses. This legal challenge is expected to cost over $100,000.00. Your help is needed immediately to ensure your rights are restored and protected. 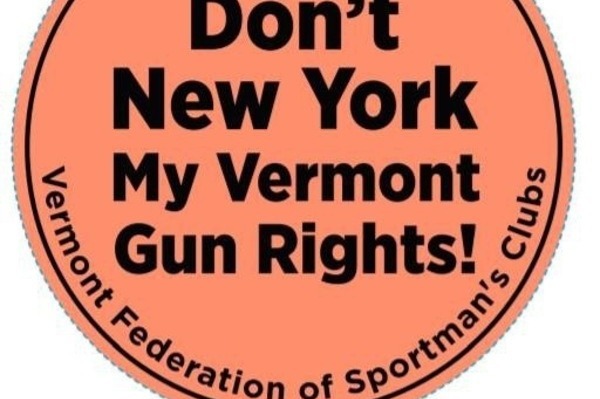 Vermont Federation of Sportsmen's Clubs Inc.
Today, Tuesday February 12th, initial oral arguments were heard in Washington County Superior Court regarding the Lawsuit challenging the Magazine Ban which was part of S.55. Across approximately 1.5 hours, Judge Teachout split the time between listening to the State defend their Motion to Dismiss, listening to the lawyers for the Plaintiffs (of which the VTFSC is a party) defend our motion for Summary Judgement, as well as listening to arguments as to why the other side's motion was baseless. Judge Teachout asked clarifying questions to both the Plaintiffs and the Defense regarding their oral presentations. While we are not at liberty to discuss any details of the case: We can all be very pleased with how our case was presented. We have an exceptionally talented team of highly-experienced and extremely competent lawyers working on this, of which 4 were present today. We will keep you posted as the case develops, but from my admittedly biased perspective, I find it very doubtful that the State's motion to Dismiss will be granted. Thank you so much for stepping up to the plate. Withe the amount of success we have had in the past 24 hours. We have increased the goal to 30,000 dollars. This is still only 30% of the expected legal fees for the first court battle. Your grassroots activism in protecting your rights is commendable. Please share and encourage your friends and family to donate.